wait did you take it from 7'orsheed?? Glad you liked it Sinan. I took it from Kassion and I used a tripod. 7'orsheed does have a view but not like this one. yeah I know taking nightviews pictures without a tripod is very hard or you'll get fuzzy pictures like mines. I got a photo from Kassion during daylight, I should post it soon! kassioun, right? 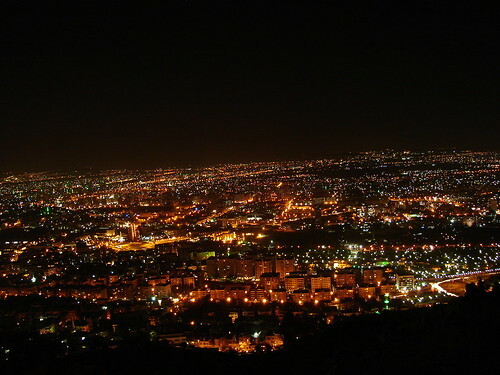 damascus is so beautiful...........................................................................................................................................................................................................................................................................................................................................................................................................................................................................................................................................................................................................................................................................................................................................by night! Good pic, but how to use it as wallpaper? that's a really good photo Dina! Ihsan: I'll try your way next time ;) I just saw your day photo and it's really good! Hi Dina!! Oh my that's so beautiful! You make me want to visit Syria so much! Hope I will someday..I'm planning visit Egypt in Dec but my mom freaked out when she heard about all the bombs...sigh...well someday...insyaallah.. Anyway....sigh* just to let you know the old story...I've changed my addy again...ok FINAL. I promise! Just because it's pregnant with apples and I thought that would be so appropriate! You may link me up for that matter for I don't give a buzz about my stalker anymore..she's got my last straw! Don't be alarmed when you read it on my blog...I'm only human and I need to let me my steam out too right?! Ah well, take care precious and hope to hear from you soon! oops some typo errors there! excuse me! Nour: Welcome back :) I will add this new address to my link list. Don't let that mad person get to you.